C3-like exoenzymes comprise a family of seven bacterial ADP-ribosyltransferases, which selectively modify RhoA, B, and C at asparagine-41. Crystal structures of C3 exoenzymes are available, allowing novel insights into the structure-function relationships of these exoenzymes. Because ADP-ribosylation specifically inhibits the biological functions of the low-molecular mass GTPases, C3 exoenzymes are established pharmacological tools to study the cellular functions of Rho GTPases. Recent studies, however, indicate that the functional consequences of C3-induced ADP-ribosylation are more complex than previously suggested. 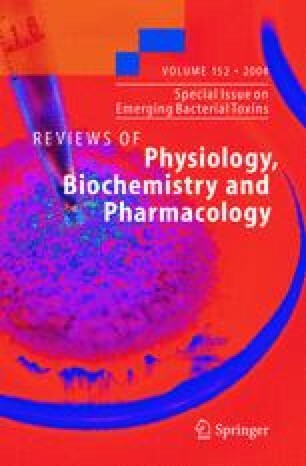 In the present review the basic properties of C3 exoenzymes are briefly summarized and new findings are reviewed.